Handcrafted genuine gemstone lava bead oil diffuser bracelets. These are made using 8mm genuine black lava beads. Available in women's, men's and children's sizing. These are the perfect everyday bracelet for everyone. Our stretch bracelets are strung on durable clear stretch cord. Women's - one size fits most at approximately 7 in. Men's - one size fits most at approximately 8 in. Children's - 5 in. for toddler and 5.5 for young children. Lava beads can be used as oil diffusers using therapeutic grade essential oils. 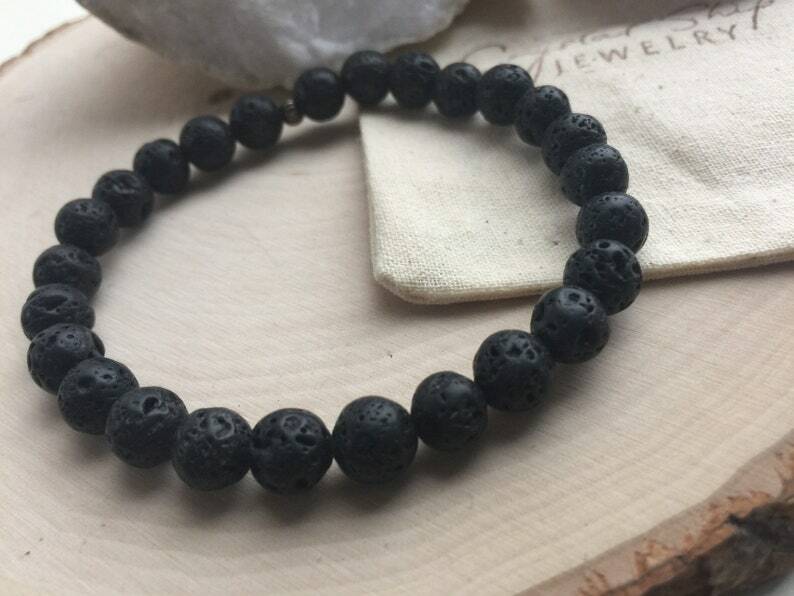 Lava beads are porous and are very grounding. Gift pouch with usage instructions are included. These make perfect gifts!